As a web designer, designing a professional website with the right aesthetics is of paramount importance. Maintaining the right colour shade, determining which font style goes with the text on the page, image selection and placement, and so on so forth. Seems like a daunting task doesn’t it? Nevertheless, with the right web designing tools, the work becomes comparatively easier than you would have imagined. In this post, we’ll cover some of the best online web design tools that can make your life as a designer simple. But before we move on to that, let us first see how web design impacts a website. When it comes to designing a professional website, right from the top header to the very bottom i.e footer, design aesthetics matter a lot. Let us see, the three things that help in this process. “First impression is the last impression”, holds true when it comes to web design. According to a study by Google, users decide whether they like your website or not depending on the web design within the first 17ms of laying their eyes on your website. If you pass this, then you have a potential customer scrolling through your website. One way of holding the user’s attention is to make your web design stand out from the rest. Tip: Try to have a dynamic website rather than a static one with bold typography or some animation that captures the essence of your website. “Less is More”, this couldn’t have been more apt for a minimalistic design approach. A minimalist design focuses on having relevant content and media elements on the page, so as to not clutter it. It makes the website look crisp & professional. One of the prime advantages of keeping a website simple is that it helps the customer locate an item easily without being lost. If a customer is able to find a product easily chances are he would love to come back to your site again.Tip: Display fewer products per page giving emphasis to the product image and have a line or two describing it. Any more additional information would be redundant and messy. Website footer is one of the most unappreciated elements in a website design however, it has loads of benefits. A well-designed footer helps in validating your website to a customer as well as strengthens your SEO. Your website footer should ideally include all the legal information, About Us, awards, security certificate, etc. One thing you can include is subscription links to your blog. Chances are the user might subscribe to your blog, thereby increasing your chances of converting the potential customer to a customer.Tip: Keep your footer design interactive giving emphasis on sign-up, subscription and security. Having seen how web design impacts a user, let us now check out some of the best website design tools to help you ease your designing process. Froont is an open source web design tool with a visually interactive drag and drop editor that helps you design responsive landing pages. It includes several custom animations and parallax effects that can be applied to your web page.One key benefit of Froont is that along with the regular fonts it includes over 1500 fonts from Google and Adobe Typekit. This way you do not need to download fonts externally and upload it to your online design editor. Froont is packaged differently for everyone and is available for Designers (Personal, Business, studio), Publishers and Companies. The most basic plan is for $17/month for designers using it on a personal level. Collaboration and learning from other designers is one of the best ways to learn and design your web app/website. 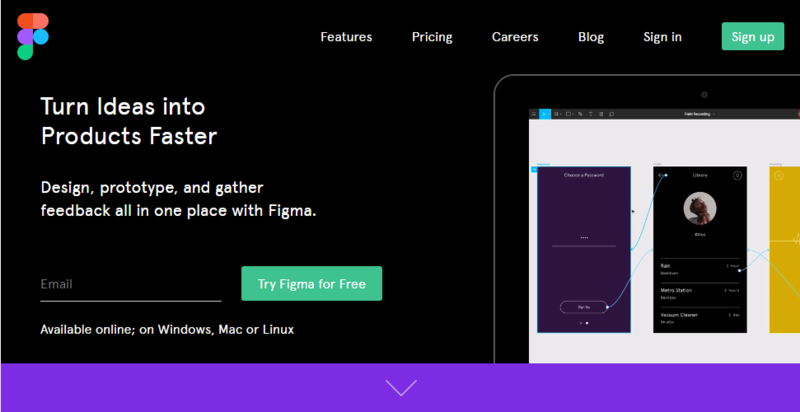 Figma is one such interface web design tool that helps multiple designers to collaborate and share their ideas on a real-time basis. Figma can be used to designing landing pages wireframe and also, allows exporting for SVG and CSS files. It helps in creating responsive designs suitable for mobile, tablet, desktop etc.In this manner, you as a web designer not only share your ideas but get inspiration and concept to design your website in the best possible manner. With a majority of users browsing the internet via their mobile phones, having a responsive website is crucial in today’s time. If your website isn’t responsive, that is it doesn’t adapt itself on a smartphone as it does on a desktop browser, chances are you might lose a customer.Webflow is an open source website design and development tool that helps web designers develop user-friendly responsive websites. It is otherwise also known as a Visual CMS (Content Management System) having effectively remodeled the development and design process. A picture is worth a thousand words but the wrong colour scheme surrounding it can ruin the whole beautiful effect.Pictaculous is an online image colour tool that assists you in choosing the right colour palette for your website or a particular landing page depending on the photograph you upload. It is as simple as uploading the image from your system and in a matter of few seconds, you get a matching colour palette that would compliment the image on the landing page. Simple icons, irrespective of them being chromatic or monochromatic help a lot when it comes to the look and feel of a minimalist web design. Founded in 2007, Iconfinder is one of the leading icon search engines for vectors, SVG, PNG format.Iconfinder allows you to edit icons depending on what you and your brand needs. It has an Icon Editor that allows you to edit your icons and download in the available formats. Choosing the right colour matters a lot when it comes to designing a pleasing yet professional website. Each colour evokes a different kind of emotion, hence it is very essential to use not only the right colour but also the right colour palette.Coolors has a range of colours each suiting to a different setting and layout. All you need is a single click of your spacebar and your colour palette is generated. 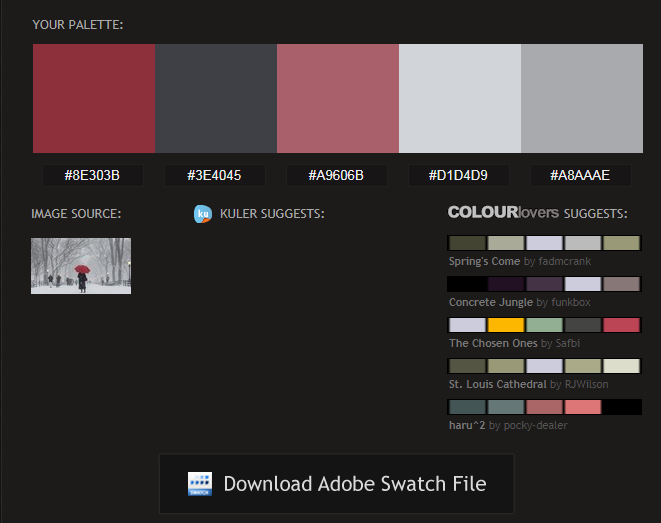 Once you’re satisfied with the palette you can export the file in PDF, PNG, SCSS, SVG and, Copic markers. Lastly, it even allows you to generate colours based on the image uploaded. Apart from these top website design tools, there are some others like Pixel Dropr that helps you create icons and buttons and Dribble, a platform that allows you to connect to designers worldwide and share your ideas. And lastly, if you love coding then designing a responsive website using Bootstrap using HTML and CSS templates should be fun for you. Just like deciding the right hosting for your website needs attention, designing an aesthetically pleasing, professional website requires time and effort. But with the best online web design tools, designing a website is as simple as a making chocolate shake. 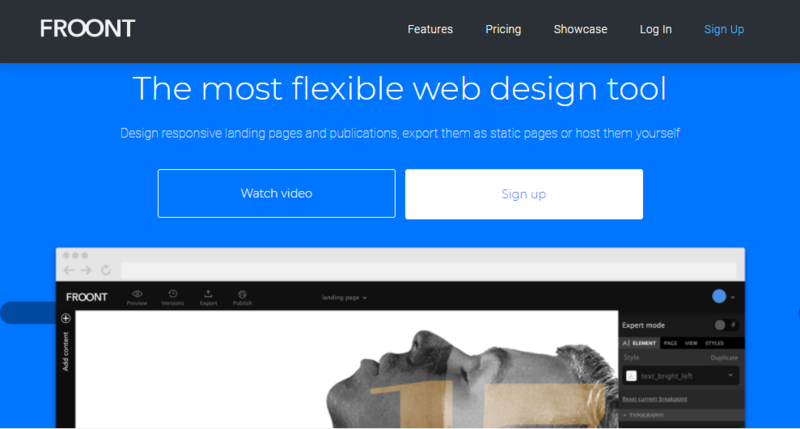 Have you used any of these website design tools for designing your website? If yes, please let us know your review in the comments below.